These points and others were pointed out to the Snohomish County Council before they voted on the contract, but three council members chose to ignore their own procedural requirements. A Herald article can be found here that covers the issue. The best use of Paine Field does not include commercial flights, but if scheduled commercial air service must begin, it must be brought in legally, and with no taxpayer money put at risk. You may be asked questions about the lease to build a new passenger terminal at Paine Field like “What’s the big deal, it’s only a two gate terminal” or “Why not commercial flights”, here is a concise, less than 5 minute interview of our SOC president with KOMO radio’s John Carlson to help with answers. As always, you can find information in previous alerts, our library, and the SOC website in general. This is not over! We are actively working on the next steps. Stay tuned . . .
We want to thank all of you who wrote to the Snohomish County Council and Executive. In the end, the Council chose to ignore hundreds of comments and letters, as well as solid legal reasons against moving forward. SOC is assessing the best path forward and will communicate next steps as appropriate. Check out the legal issues raised by the attorney hired to review the lease. He found even more than we did! Share this on Facebook and pass it to everyone you know. If at all possible, attend the Snohomish County Council meeting Monday, March 2nd, 10:30 AM, 3000 Rockefeller Ave, Everett, 8th floor. 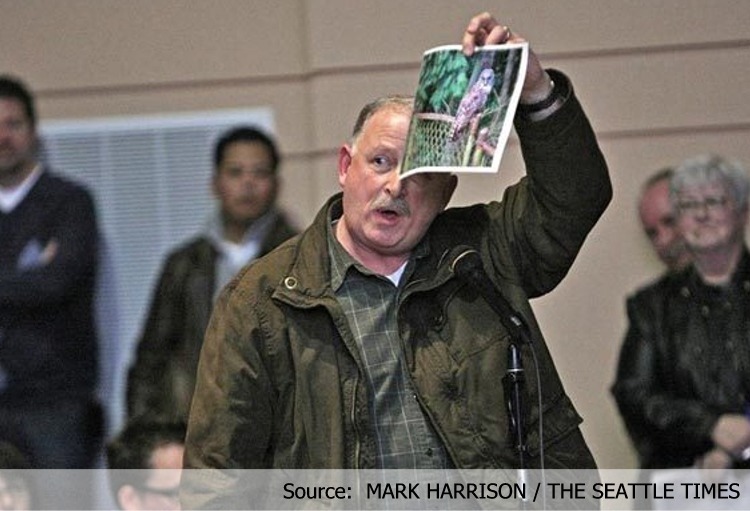 Write to the Snohomish County Executive, and to council members (especially Somers and Ryan) and tell them to stop this potentially illegal action! In a nutshell, there are three key areas pointed out by the lawyer. Monday, March 2nd – That is the day the Snohomish County Council plans to vote on the Propeller Lease, but you can delay that vote! Why delay? All the facts are not in. The lease does not fully protect you, the taxpayer, leaving us vulnerable to future costs. Also, The County has offered no public evidence of conducting due diligence verifying who Propeller is, why their business plan would work here when it has failed elsewhere and how the lease elements fully protect taxpayers over 50 years. • Keep writing! YOU can help delay that vote and change the expected outcome. • Attend the Council Meeting March 2nd, 10:30 AM! Let the County know you hold them accountable. Use the email templates or create your own, and focus on County Executive Lovick, Council Chair Somers and Councilman Ryan to convince them to slow down. • Write now! Link our blog to Facebook and Twitter, and get the message out. Snohomish County Council - 50 year commitment to commercial flights? The Snohomish County Council is scheduled to vote on a 50 year lease (30 years plus two 10 year options) with Propeller Investments so Propeller can build a commercial service passenger terminal at Paine Field. The only track record SOC has been able to find for Propeller is two failed attempts at bringing commercial service to two Atlanta area airports. At a recent Snohomish County Council meeting, the Council was briefed on the deal by the Paine Field Airport Director, but no questions about the background of the company who the county is about to do business with were asked. Even though there is no airline anxious to begin service, the Council is fast tracking this for a potential vote on March 2nd. A 50 year commitment with an unproven company decided with a two week review?! Why? What happened to due diligence, good governance, and transparency in government? Write your County Council members and the County Executive (sample letters here) and tell them to slow down and get all the facts before deciding to proceed. Just like San Diego, Paine Field's single main runway could easily grow to accommodate a lot of airline service. 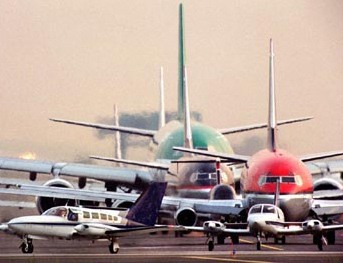 Do we really want to crowd out an economic power-house like Boeing with traffic like this? How would Boeing test and launch new aircraft in these conditions? Sea-Tac was built for this. Paine Field was built to support aerospace manufacturing. The two functions differ significantly and shouldn't be mixed together. A hostile Mukilteo crowd told the Federal Aviation Administration Thursday night that its plan to introduce commercial flights at Paine Field could lead to "virtually unlimited operations." A standing-room-only crowd of about 450 people attended the final of three FAA hearings on the proposal by two airlines to begin passenger service at the Snohomish County airport. 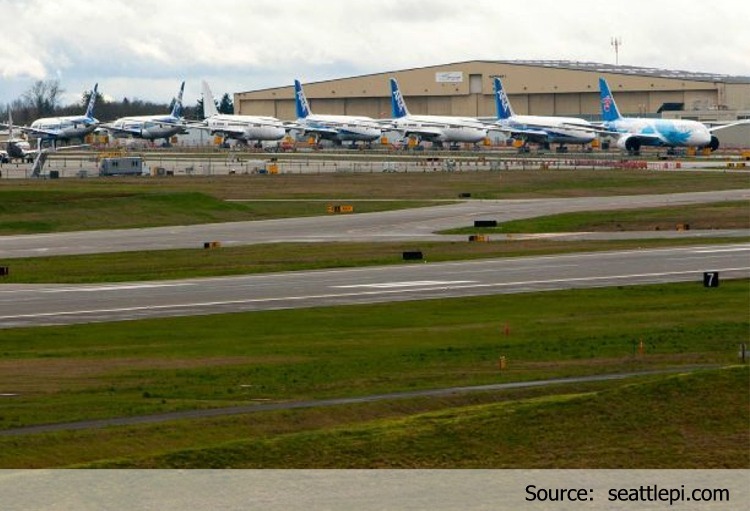 Should Paine Field go commercial? The Federal Aviation Administration holds the second of three public hearings on Paine Field passenger flights. Many people living around Paine Field are concerned commercial flights would bring noise, traffic, air pollution and shrinking property values. Others said commercial flights would attract more tourism and high-paying jobs to the area and be convenient for travelers.